Advances in technology increase every year, making some consumers a little more nervous about the digital identity theft types. However, a recent article on the Equifax Finance Blog remarks that internet identity theft still trails the older, tried and true methods of thieves. In the recent article, “Top Causes of Identity Theft? Not the Internet—Yet,” Joe Reynolds, an identity fraud product manager at Travelers, presents identity theft information from a study of claims made to Travelers in 2011. 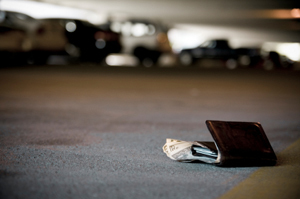 In the article he remarks that stolen and misplaced wallets and pocketbooks are still among the most frequent sources of identity theft. Other causes of stolen identity include stolen identification cards (Social Security card, driver’s license, student ID, employee badge, etc. ), burglaries, cyber breaches and forgeries. As you can see the internet does come to play at the number four spot on the list but it’s still surprisingly far away from being the top cause of ID theft. identity theft information you may need. It is also a wonderful place to gain knowledge about understanding credit scores, ID protection and much more. Visit the Equifax Finance Blog for more information. This entry was posted in Green News, News and tagged equifax finance blog, identity theft information on January 19, 2013 by Carol Morgan.